How Mediclaim Differs From a Health Insurance Policy? 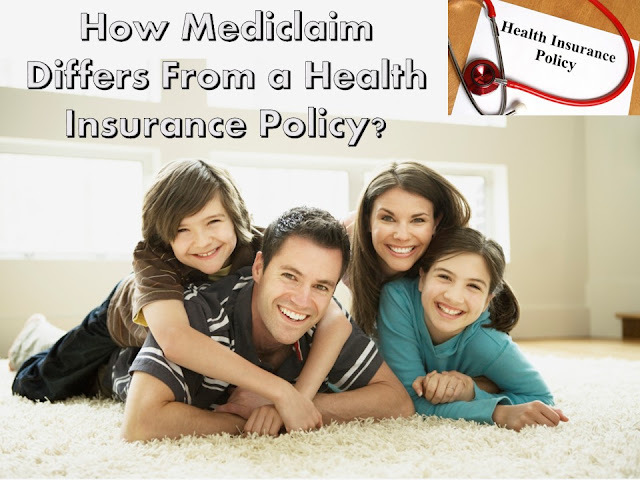 Home / Insurance Tips / How Mediclaim Differs From a Health Insurance Policy? In India, mediclaim and health insurance plans are mostly used together with the same purpose and meaning. However, there are basic differences between the two when it comes to their features, and benefits in practicality. Both these medical insurance policies are drafted to address health scars, the benefits of health insurance scores over the mediclaim policy always. If you wanted to avail either of these two health insurance plans and confused if both being the same, here are some vital insights into both as you know more via 6 FAQs. Mediclaim schemes are created to address some issues such as hospitalization, and treatments for pre-existing diseases or complexions. The premium for the policy depends on the assured sum which the subscriber needs to pay on a yearly basis. What differentiates mediclaim and health insurance? While mediclaim and health insurance schemes come with hospitalization costs, the medical insurance is more exclusive and comprehensive plan. Compared to the mediclaim policy, a health insurance policy provides scores of benefits such as reimbursement for availing emergency ambulance service, losing a source of income because of a disease and more. Does mediclaim policy provide you cashless entitlement? Yes, if a subscriber is willing to get the treatment done at one of the partner hospitals, then the policy’s clause of cashless hospitalization will come into the picture. Even if you are availing treatment at non-partner hospitals, you can produce the relevant bills at the time of settlement. Also, same clauses or terms also govern health insurance schemes as well. What about mediclaim schemes’ coverage of critical illness? No, your mediclaim policies do not provide any coverage against any critical diseases or illness. One of the prime reason for this exclusion is that policies like these carry a lower assured sum which won’t go beyond a sum of Rs.5 lakh. Also, since the cost of complex diseases also means huge expenses, the policy is not mature enough to meet the cover. On the other hand, policyholders having a health insurance scheme can go for the critical illness rider. One of the other things to note is that higher the insured sum the more value you are bound to get out of your health schemes. Under a typical medical insurance plan, people often get insurance of up to Rs.20-30 lakh. What about the tenor of both health plans? You should know that Mediclaim is a general insurance policy which you need to renew yearly to carry on with the enclosed benefits. However, on the other hand, since the health insurance is provided by a life insurer, its tenor goes up to 3 years or more. As a result, while these policies’ premium amount may change every year, the health insurance’s premium is fixed. What if the claim asked is lesser than the assured sum? In a mediclaim scheme, the policyholder is allowed to make as many claims as he/she wishes unless the assured sum finishes. On the other hand, in case of availing a health insurance plan, the insurer provides the entire amount insured to a policyholder irrespective of the real cost of the treatment. Nonetheless, it may only be provided in cases relating to only critical diseases. Going by the discussed FAQs, you might have figured out the differences between the mediclaim and the health insurance schemes. You can now easily assess your requirements, and affordability and opt for one online!